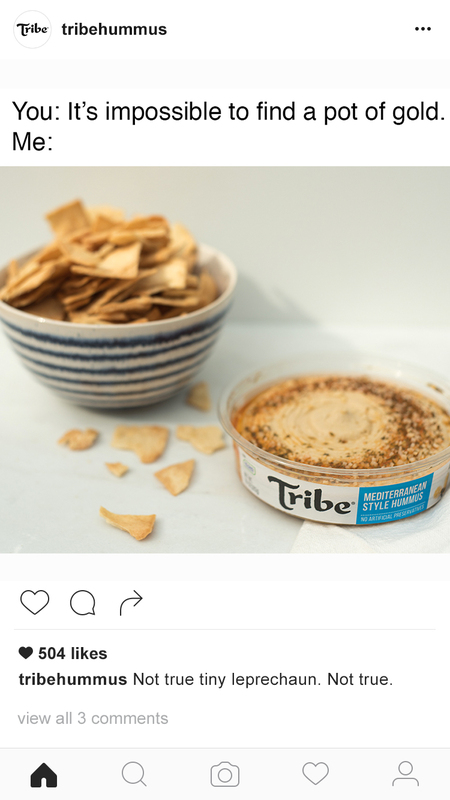 Tribe Hummus knows that it's hard to be healthy all of the time. So they try to keep it light, with a lot of humor, attitude and some fun ways to eat healthy....ish. 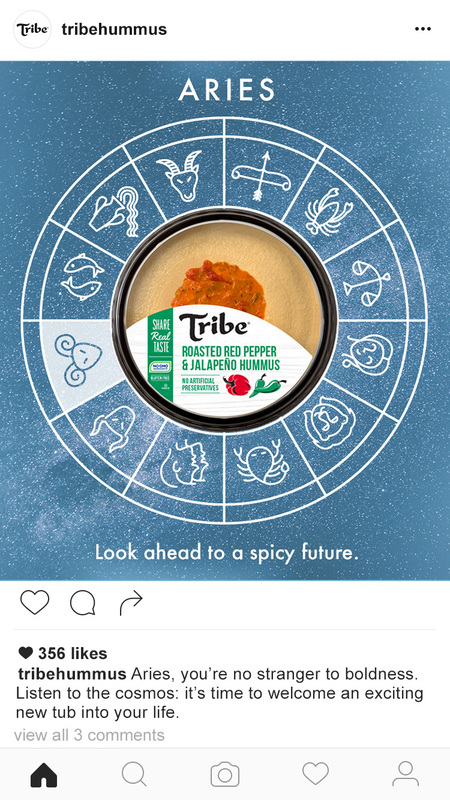 Post Copy: Put Tribe Everything Hummus on everything. Post Copy: We can try to hypnotize you with a hummus swirl, but is that even necessary? We're working with hummus here.